Few people in Mombasa know what happened in the urban district of Owino Uhuru. A lead-smelting plant operating at the heart of this poor community left a path of destruction in its wake: at least five dead workers, hundreds of failed pregnancies, and more than two dozen children suffering lifelong health effects of lead poisoning. This slum of 3.000 residents remains contaminated even after the closure of the plant, in March 2014. While the use of paint and fuel containing lead has been banned worldwide, the lead-acid batteries industry remains deregulated in developing countries. 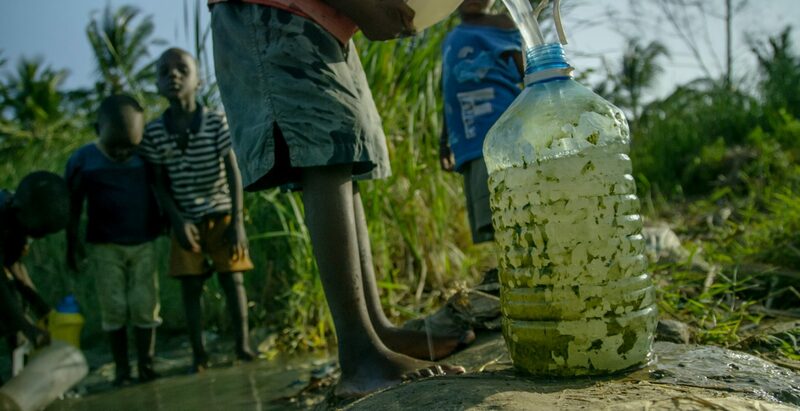 These public health and environmental problem remains largely unknown in Africa. This multimedia project will focus on the exposure of these unsound practices and the solutions that local communities are finding to eradicate them through education, awareness and organisation at a local level.